Oh hey! Look who's back! We have missed you terribly here over at Cupcakes & Crossbones but we are back and ready to get back into the swing of things. Whether you know it or not, Instagram is currently the fastest growing social media platform out there today. 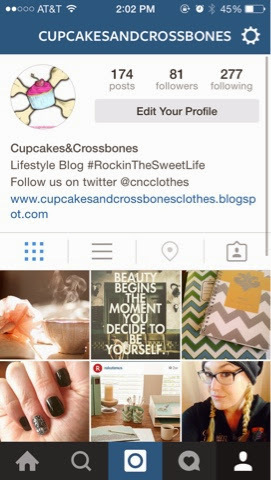 With that said today we are giving you 10 Instagram accounts that you should be following if you aren't already. 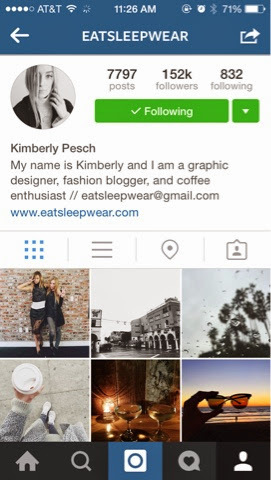 @eatsleepwear is an account ran by Kimberly who is a graphic designer and fashion blogger. 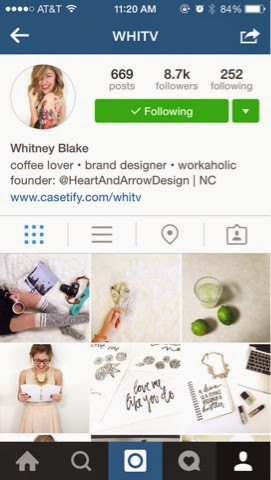 Not only is she a coffee enthusiast she posts incredibly fashionable posts that get your creative fashion juices flowin! 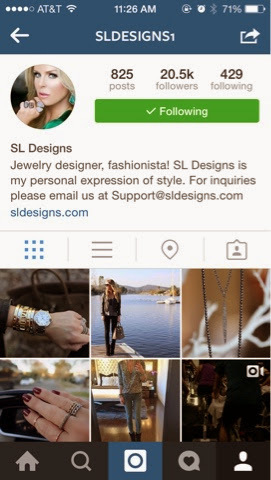 @sldesigns1 Ran by the jewelry designer herself, her images and designs are out of this world gorgeous! If you are in need of incredibly fashionable arm candy or want to be up to date on the latest accessories trends, this is where to be. 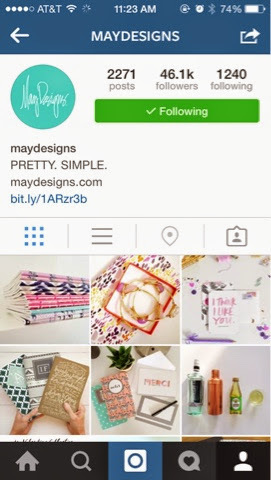 @maydesigns not only carry customizable planners and note books but the images they post are eye candy all in itself. If you are looking for the most perfect office and scheduling accessories look no further. 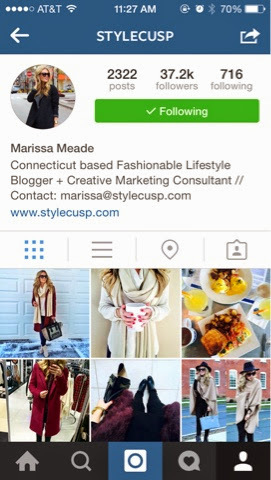 @stylecusp Marissa is a fashion lifestyle blogger and marketing consultant and its a good thing that she is! If she wasn't we wouldn't be getting our daily fix of eye catching and trending fashion that gives us inspiration when it comes to today's outfit. 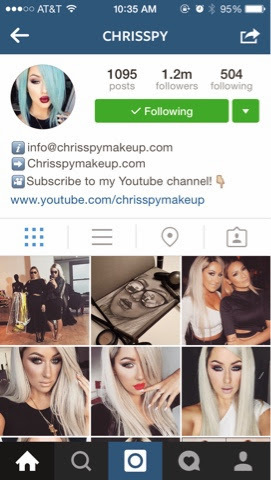 @chrisspy When you are looking for all things makeup and beauty, look no further! This girl rocks all different makeup styles like no other. Aside from being gorgeous she inspires our daily makeup choices and fun ideas for sprucing up our makeup game for a night out. @whitv is there anything this girl posts that we don't love? No! Her posts give us inspiration and are just a fantastic treat for our eyes. It's impossible to look away when scrolling through her pics! 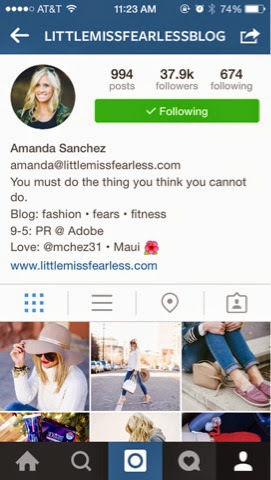 @littlemissfearlessblog Blogger with a fashion sense like no other. All we want is to one day shop in her closet and we will be a happy! 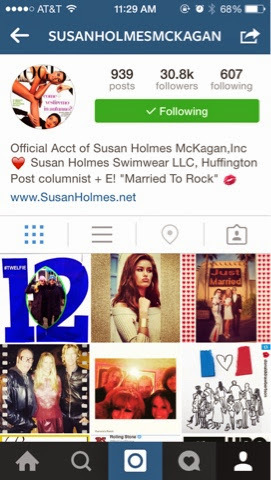 @susanholmesmckagan Susan is a rock star like no other! This woman is a take charge beautiful woman who has style, and is an incredible inspiration. As if being a Huffington post columnist, and TV star isn't enough, she also owns her own swimwear company that that has us going bananas for bikinis! 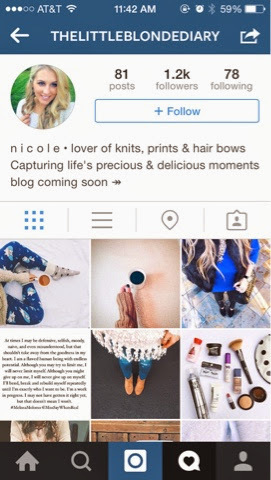 @thelittleblondediary Nicole states that she captures "precocious and delicious moments" and we couldn't agree more. If we could crawl into her Instagram account and live there we would be in heaven. 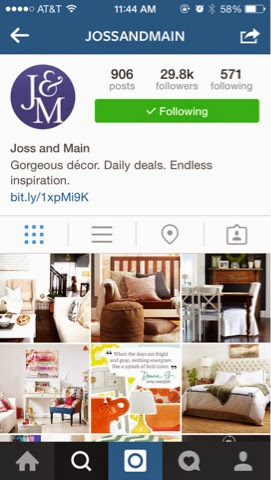 @jossandmain is the go to page when it comes to all things home. Beautiful images that you can recreate in your own home is what this page is all about. All we need is a shopping spree at the Joss and Main store and our lives would be complete! OOOOH - I can't wait to check these instaccounts out! They are perfect in so many ways!! Let us know what you think. Let us know what you think of the new ones! Hope you enjoy! I've never heard of any of these! Off to add/scroll/and double tap! Aren't they awesome! Wayfair is another fave of mine too. i don't follow any of these--i need to check 'em out. They are so addicting and have such awesome images. Let us know what you think of them and which one(s) you decide to check out. Thanks! I've missed everyone. It's great to be back!